The Black Sheep Dances: New Giveaway: Wicked Bugs! 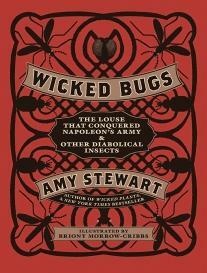 Special thanks to Algonquin Books of Chapel Hill for the additional copy of Wicked Bugs by Amy Stewart. I'm offering this as the next giveaway here, and the rules are below. I am keeping the adorable little plush bug they sent with it...it's not often you can find a plush child's worm, way too cute! A bookworm, of course! I rev'd the title on May 4, 2011 if you want to see what it's about! Additionally, Martha Lawton was the winner of the West of Here giveaway that ended May 1, 2011. She's been notified and the book has shipped. So, to enter to win Wicked Bugs, please leave a comment below. A random generator will pick one name on May 20, 2011 to get the brand-new, just released hardback title of Wicked Bugs, a nonfiction nature title. The book is for US or Canadian followers only, and with your comment please leave contact info (email or GFC) so I can let you know. Thanks for the giveaway, this looks like an interesting book! This is right up my alley! 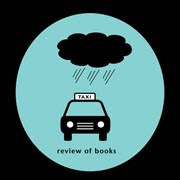 Would love it, and will check it out nonetheless after reading the review you did earlier. Sorry for so many comments didnt see that it will be visible after you sign in. I thought the book was more of a nature book until I read your review! It still sounds fascinating but it makes me glad I'm allergic to dust mites and covered my mattress, box spring and pillows in protective, zippered encasements! Thanks for the opportunity to win this! Have all of Amy Stewart's other books. I'm an avid gardener and an avid garden book reader.